Happy New Year, and congratulations to all of happy couples who will be getting married in the year to come! So, now that you're engaged, and you’ve told all of your loved ones, it’s now time for the celebrations to start! First up is the engagement party. Luckily when planning an engagement party, you and your significant other can help with the planning process without any raised eyebrows. 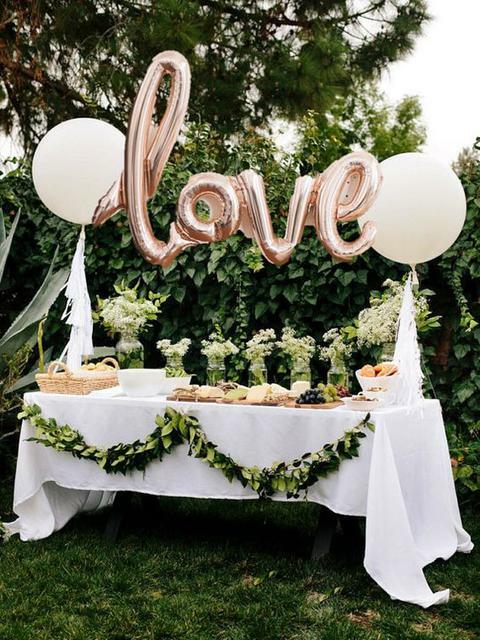 Traditionally the bride and groom’s parents host the engagement party, but that’s not a hard and fast rule, anyone can throw you an engagement party, with that being said, the whoever does host should always check with the parents of the bride. Next you will need to pick a date, typically they are shortly after you are engaged, but if you are having a longer engagement, or if you have to travel home for the party, having a delay is totally fine. When choosing who will be invited to you’re party, whoever makes the list to the engagement party must be invited to your wedding. If you are unsure how many guests you will be inviting to your wedding, then you might want to have a more intimate engagement party with close friends and family. Finally, when you choose the venue for this special occasion, it can be as formal or informal as you want. A party at your parents’ home or your BBF’s back yard is great for an informal affair.